SCHÜTTGUT, Germany´s leading specialist trade fair for powder, granular materials and bulk solids technology, was held in Dortmund on 7th and 8th November. This was the ninth time the exhibition had been staged, and it took place under a new banner: SOLIDS 2018. Easyfairs, the event organizer, changed the name to reflect the exhibition´s widening reach and its increasing international importance. Over the course of two days, around 6,500 visitors had the opportunity to learn from more than 500 exhibitors about the latest technologies in bulk solids production and handling. These exhibitors were drawn from numerous areas: plant and machinery manufacurers, the construction and buliding materials sector, waste disposal/ recycling, the glass industry, the metals industry, quarrying, mining, and more. VAUTID offered visitors to hall 4 a range of wear protection solutions. 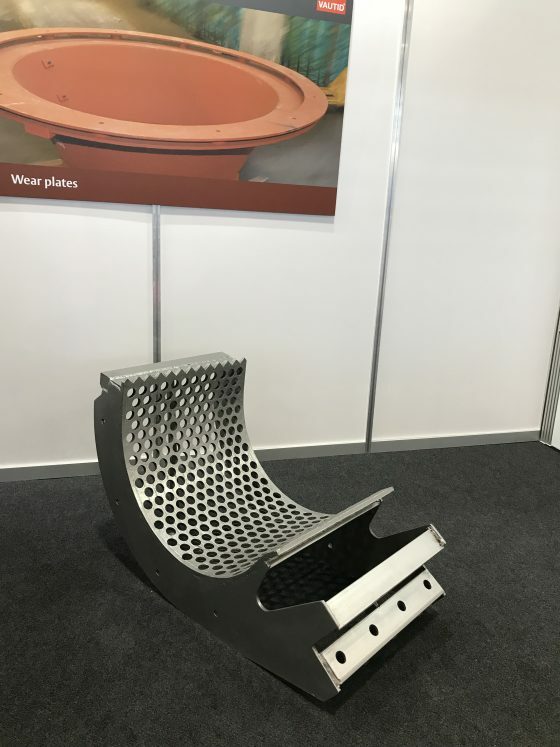 Our display included hard-faced composite wear plates and high-chrome castings that extend the service life of plant and machinery. 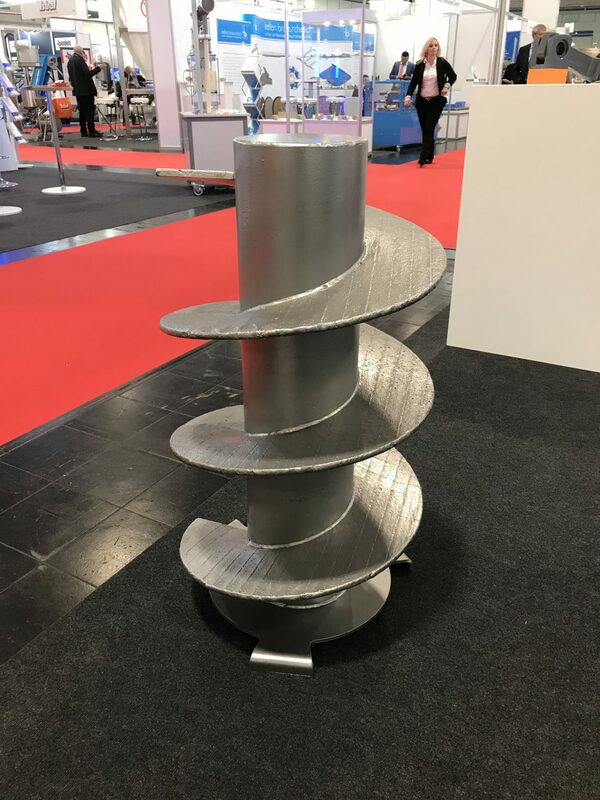 Looking at the wear resistance solutions exhibited by VAUTID, visitors were particularly impressed by the sustainability benefits they offer. Designed to extend service life by reducing metal wear resistance, these systems offer both financial and environmental rewards. VAUTID solutions do more than just save money; they help our clients to reduce their environmental footprint. We´ll be exhibiting at the next event, SOLIDS 2020, which will be held in Dortmund on 1st and 2nd April 2020. We look forward to seeing you there!